A thermal expansion tank is now required in most parts of Kansas City when installing a new water heater. An expansion tank was not commonly used for residential systems until recent years, the main reason is that many of the newer homes are equipped with pressure reducing valves. A PRV acts like a check valve by only allowing the water to flow in one direction. It’s important to understand that water expands when it is heated in order to realize why the PRV can create plumbing problems. When the water heats up and expands there is no place for the water to go. 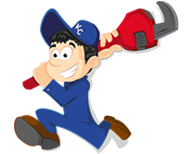 I have seen excessive pressure in the supply lines caused by a water heater. The most common result from excessive thermal expansion is a failed water heater. 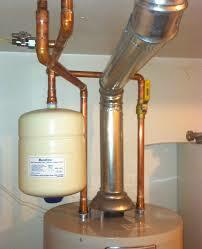 A thermal expansion tank is designed to protect the water heater as well as the rest of the plumbing system. Most expansion tanks are about 2 gallons in size and are filled with a balloon that should be inflated to match the incoming water pressure. For most homes the water pressure is between 50-80 psi. An expansion tank is not designed to last forever and they can sometimes fail. 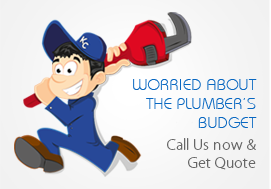 You should always replace the expansion tank at the same time you replace the water heater. It’s also important to check your expansion tank to make sure it’s not water logged. If the expansion tank is filled with water, it’s not holding any air and not doing anything to protect your plumbing system.